It started snowing back home today. My facebook feed filled with pictures of flurries and snow stuck to the cars. And here I am, in 70˚ weather. It feels strange, to feel like I missed part of fall and now to miss the first snow . I already have trips schedule up to Tahoe once the ski areas open (don’t plan on getting any response to emails on Wednesday, that will be the norm during the winter.) Sacramento is great, but there are small things I miss. 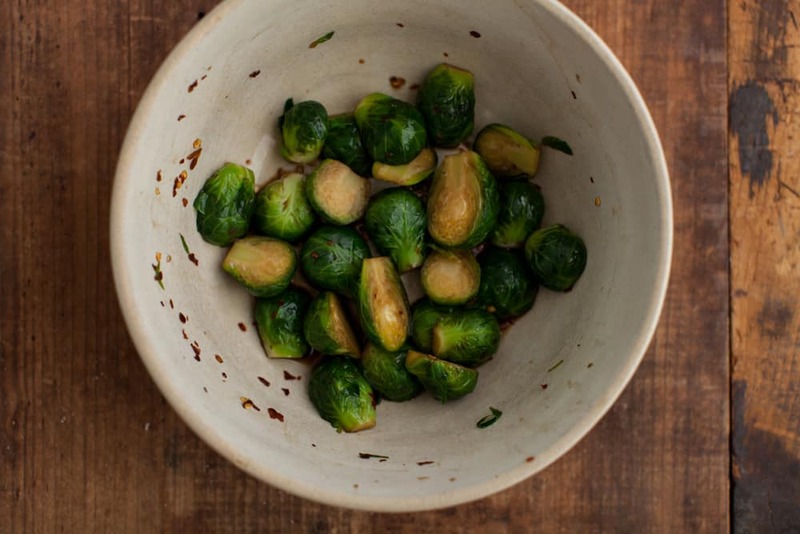 To start Brussels Sprouts, bring a pot of water to a boil. 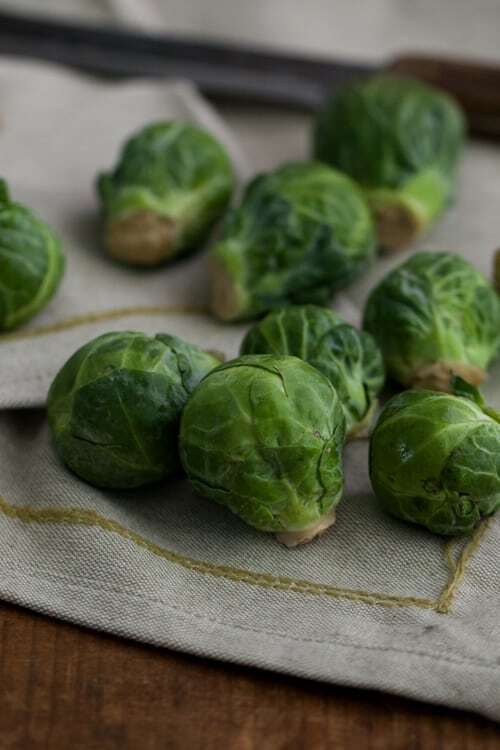 Cut part of the stem off the Brussels spout and place them in the boiling water. Cook for 4-5 minutes until just tender. 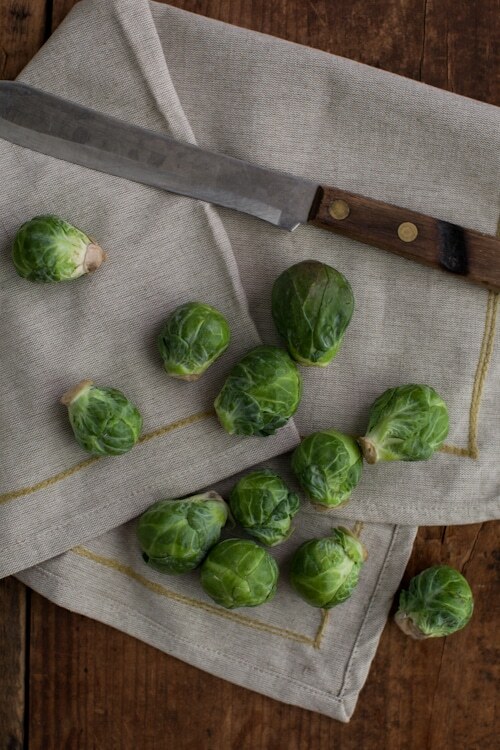 Drain into a strainer and cool down by rinsing cold water over the brussels sprouts. Whisk the soy sauce, honey, and crushed red pepper together. Add Brussels Sprouts in a bowl and toss with soy sauce mixture. Cover and let sit for one hour. 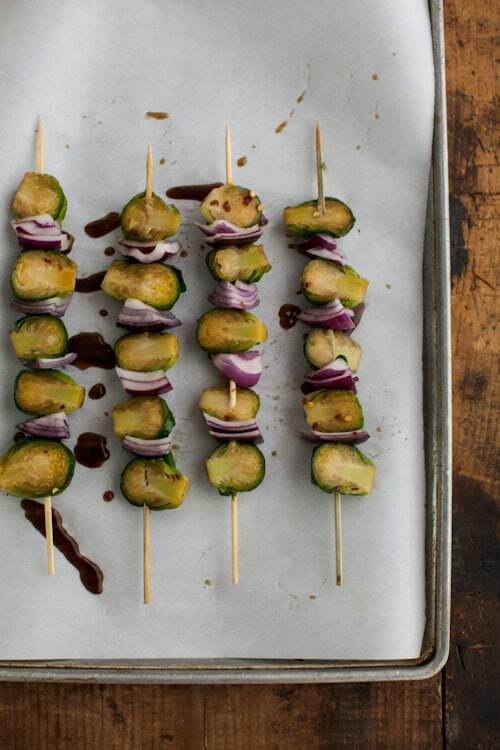 Place wooden skewers in water and set aside. To make barley, heat olive oil over medium-low heat. Add ginger and garlic, cooking for 1 minute. Next, stir in barley and cook for another minute. Pour in water, bring to a boil, and reduce to a simmer. 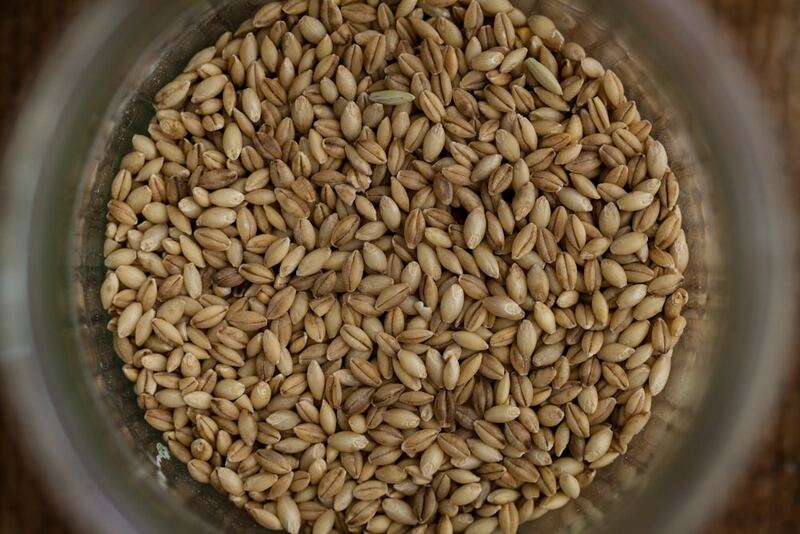 Let barley cook until tender and water is absorbed, 40-45 minutes. Light grill. Chop onion into chunks. Alternate threading Brussels Sprouts and Onions onto the skewers. Place on the grill and cook until Brussels Sprouts are beginning to char, rotating as needed. 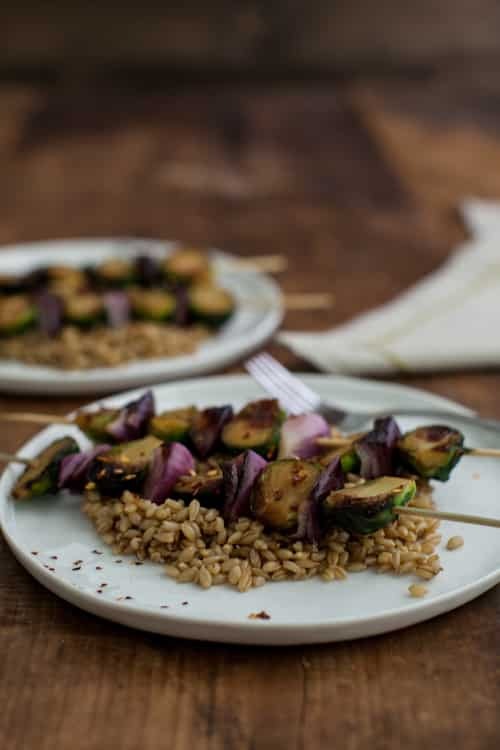 Serve skewers over barley with extra soy sauce and sesame seeds as desired. My brother lives in Tahoe (well most the time) and he LOVE it! I can’t wait to hear about your trips! Oh and the Brussels are awesome. They are my favorite green veggie during the fall and winter! Every year, I feel like we just jump from Indian summer to winter…it’s crazy! 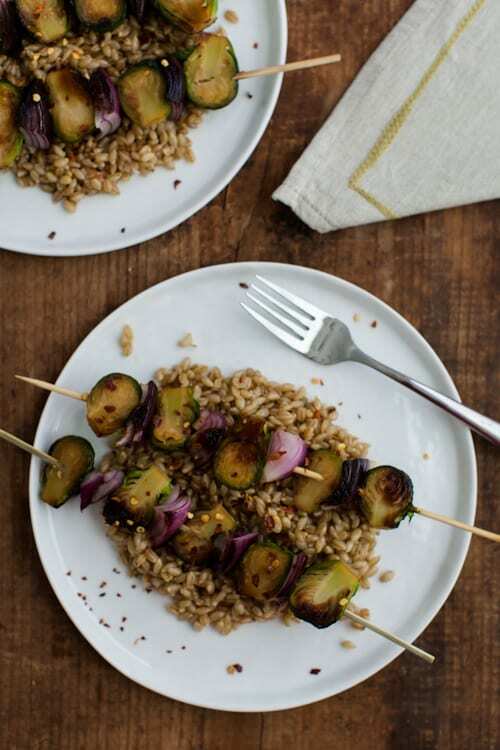 I’m pretty sure grilled brussels sprouts are new to me but I love the idea! 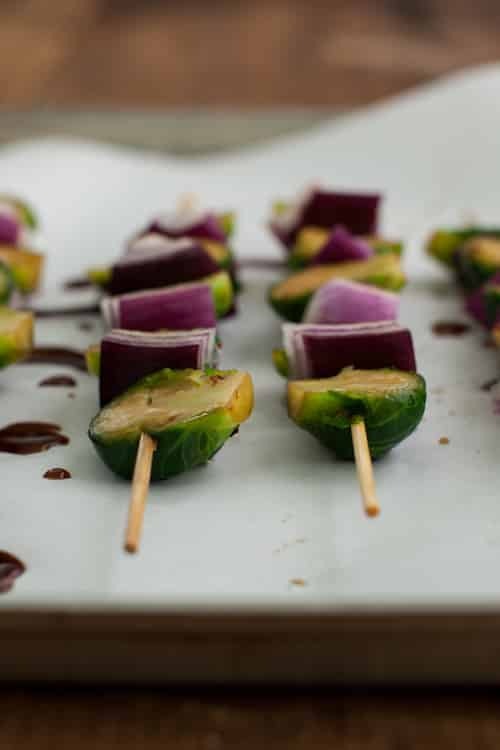 Threading Brussels sprouts on skewers is brilliant…I’ve been grilling them for years, but this looks like so much more fun! I would have never thought to do this! Looks awesome! I like brussel sprouts about as much as snow….